Rudy Fernandez serves as Senior Vice President for Public Affairs and Communications at the University of Miami nurturing relationships with federal, state and local government entities and serving as the chief legislative strategist. Fernandez oversees the Division of University Communications, which stewards the brand and shares stories of the universities impact. He created the Public Affairs division at the University to better coordinate all communication and external relations efforts. As Chief of Staff, Fernandez serves as the senior advisor to the President and works with other University leaders in developing and implementing long-range strategy on behalf of the institution. Prior to joining the university in 2007 as vice president for government and community relations, Fernandez spent over a decade in Washington, DC. He was Special Assistant to the President in the George W. Bush White House. He also held senior positions in the U.S. Department of Transportation, the Bush-Cheney 2004 Campaign and the Republican National Committee. Fernandez is a well-respected political analyst and commentator and makes appearances on both mainstream and Spanish-language media. He serves on the board of directors of nonprofit organizations including the Florida Chamber of Commerce Foundation, the Greater Miami Chamber of Commerce and Our Kids. 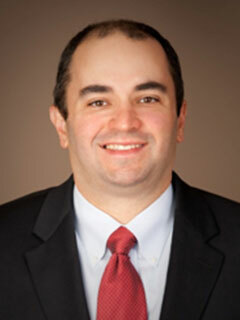 Fernandez has a Bachelor of Arts degree in Government from Harvard University and an MBA from the University of Miami. He and his wife Jennifer are the proud parents of four children under the age of 11.